Size of this PNG preview of this SVG file: 700 × 500 pixels. Other resolutions: 320 × 229 pixels | 640 × 457 pixels | 800 × 571 pixels | 1,024 × 731 pixels | 1,280 × 914 pixels. 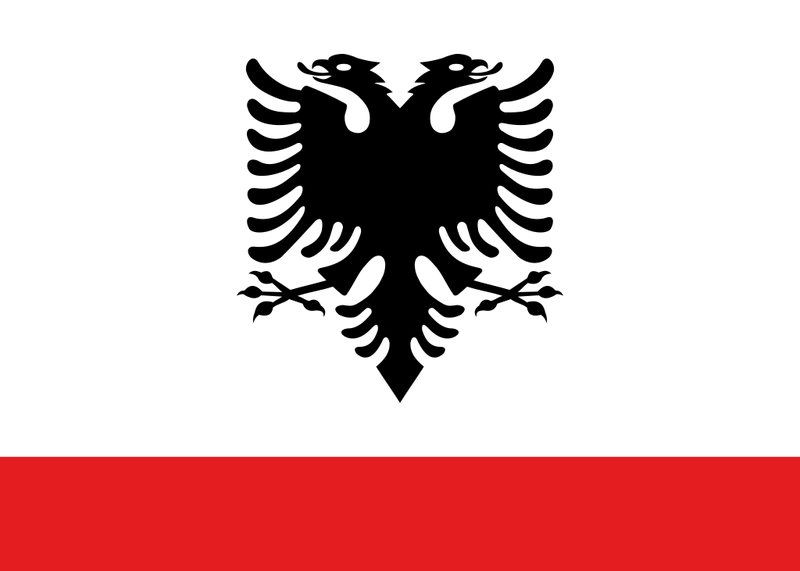 Naval Ensign of Albania, based on Image:Flag of Albania.svg. current 22:46, 9 March 2019 700 × 500 (7 KB) AndreyKva (talk | contribs) Optimized. 06:46, 2 December 2012 700 × 500 (14 KB) Perey (talk | contribs) Updated to latest version of the original File:Flag of Albania.svg. 17:44, 22 July 2010 700 × 500 (24 KB) Mnmazur (talk | contribs) Changed the eagle to a single path rather than a path and a clone of the path. At small resolutions, the eagle was appearing to be split in half because of that design, due to what I believe is a flaw in MediaWiki's SVG rendering software. 01:48, 15 September 2007 700 × 500 (12 KB) TigerTjäder (talk | contribs) Slight edit to prevent red line in the middle of the eagle in large renderings. This page was last edited on 9 March 2019, at 22:46.